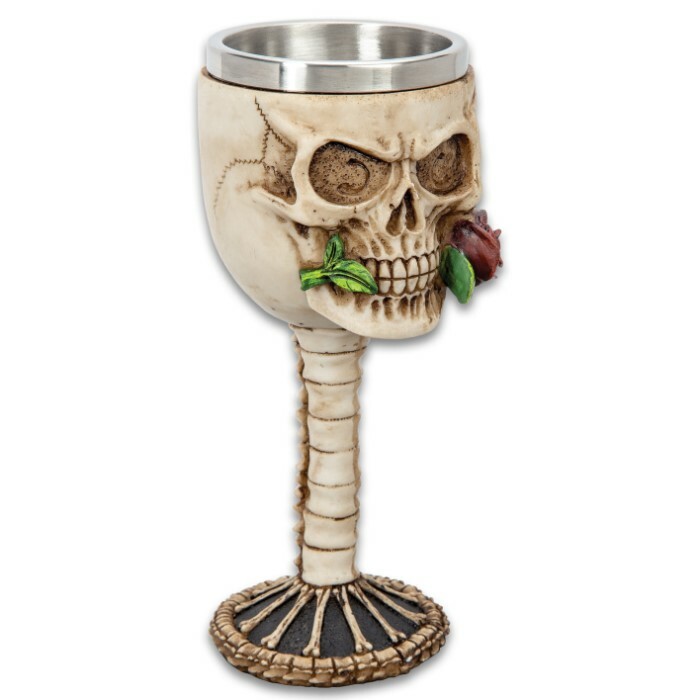 Immortal Rose Bite Skull Goblet - Crafted Of Polyresin And Wood, Intricately Detailed, Hand-Painted - Dimensions 7 1/4”x 2 3/4” | BUDK.com - Knives & Swords At The Lowest Prices! 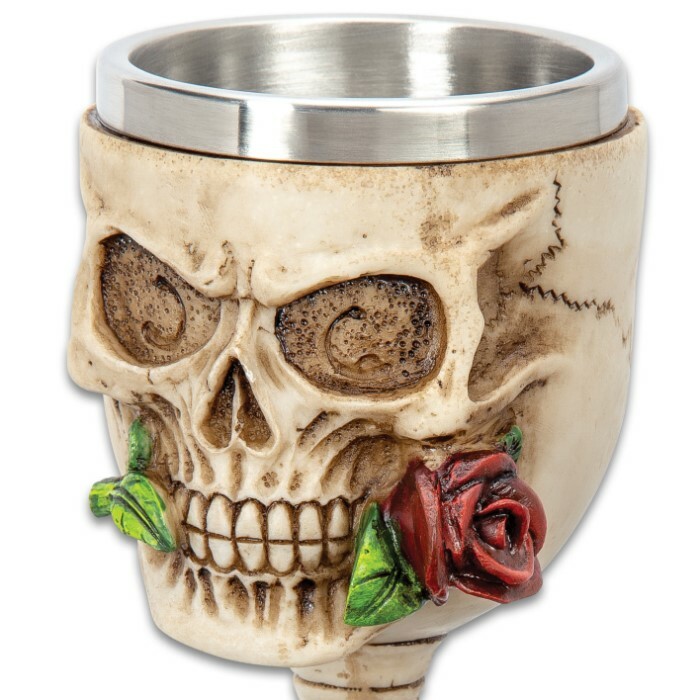 Toast the heroine of your Gothic Romance with our Immortal Rose Bite Skull Goblet, perfect for entertaining at special events and celebrations. 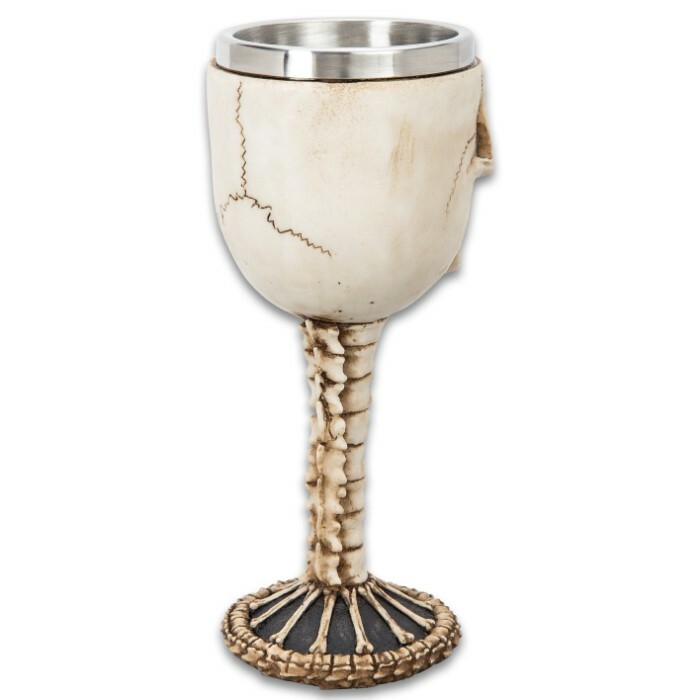 The goblet has been expertly crafted of polyresin over a wooden base and it is rich with intricate, hand-painted detail. 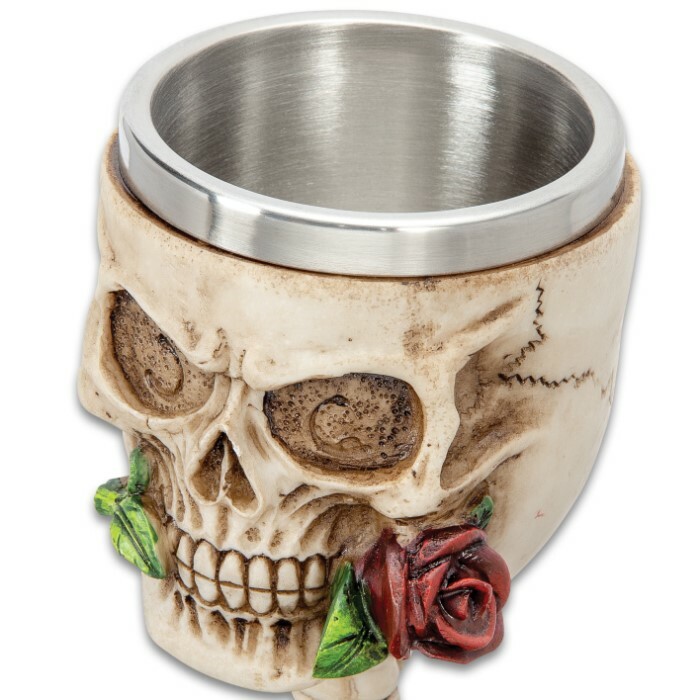 The highly-detailed skull head clinches a red rose in its teeth and is supported by stacked vertebrae leading down to a circular vertebrae base. 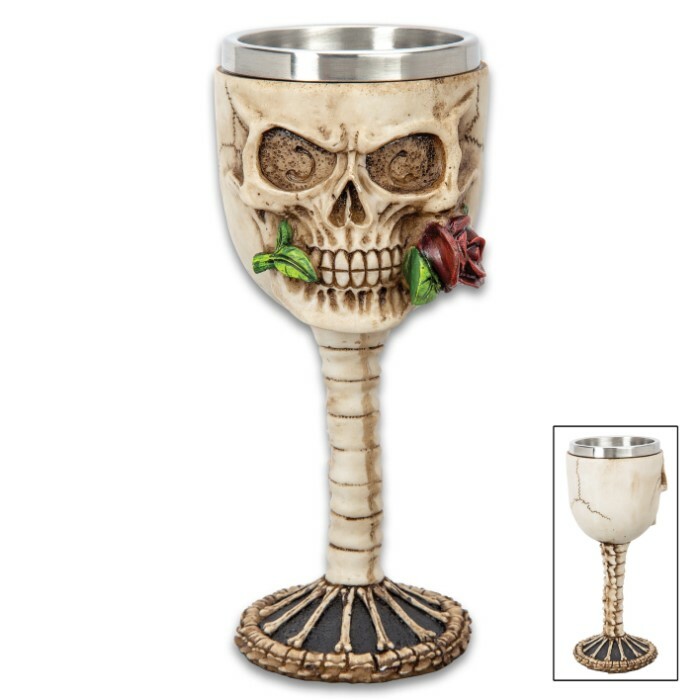 The Gothic Romance themed goblet’s dimensions are 7 1/4” tall with a 2 3/4” diameter and it has a stainless steel liner. Make sure you get one for yourself and one for your immortal love.